The Global Prayer Gathering brings together staff and friends of IJM from all over the world for a time of seeking God and seeking justice for victims of oppression. Together we will draw near to God in prayer, we will celebrate what God has done and we will petition for continued rescue of those who are being oppressed and help for our workers in the field. Throughout the weekend, IJM staff from Asia, Africa, Latin America, North America and Europe will share about recent casework victories for victims of violent oppression, as well as the joys, challenges and prayer needs of their field offices. Sara Groves and Lamont Hiebert and Ten Shekel Shirt will lead us in worship. We hope that you will join with us in celebration of God’s presence and in prayer for God’s power in 2010. Your prayers are vital to this work of justice. 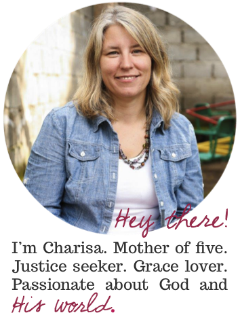 I was on IJM's website today after being on your blog. I wish they were closer to Portland! Sounds like they are on the right track.. We need more people like that! It is so sad and unbelievable what goes on..